The agency continues to work on a number of P&G brands in different regions. CINCINNATI: Procter & Gamble has made changes to its PR agency roster for its Olay and Pantene brands. DeVries Global is no longer working on either brand in the U.S. However, the firm continues to work with skincare brand Olay in China, shampoo brand Pantene in Europe and China, and some of P&G’s hair care and personal brands in Latin America, said Damon Jones, P&G’s VP of global communications and advocacy. "DeVries continues to be a valued, global agency partner to P&G and continues its work on a number of brands," he added. 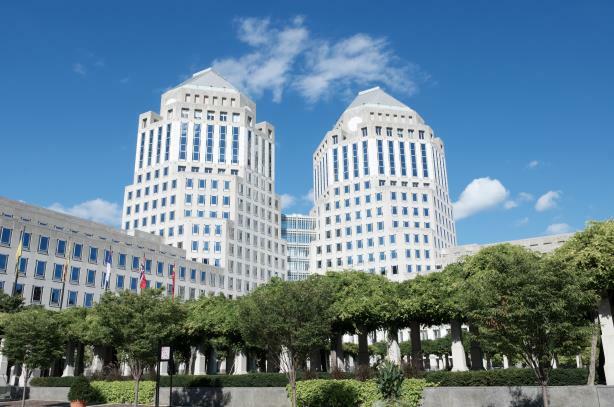 The firm is also continuing to work on both deodorant brand Secret and hair care brand Aussie in the U.S.
P&G made changes to its agency roster at the beginning of its fiscal year at the start of July. Shifts have been made in the Olay business model to "more open, fixed, and flow sourcing – including PR," Jones said. He noted that the firm broadened its agency roster to include Stagwell Group-backed MMI Agency, Small Girls PR, and Badger & Winters "in recognition that the media landscape requires greater breadth and speed of content and that different agencies may have capabilities we need at different times." P&G has also changed its Pantene agency roster, consistent with the company’s ongoing, global consolidation, said Jones. On that brand, the CPG company moved its North American agency work to Marina Maher Communications and MMI agency, he said. P&G posted stronger-than-expected numbers for fiscal Q1, which ended on September 30. Its group revenues were essentially flat from the same period last year at $16.7 billion but organic sales rose by 4%, fueled by growth in its beauty division. Net income in the quarter climbed about 12% to $3.2 billion. The company’s most popular products include Head & Shoulders, Scope, Secret, Charmin, Oral-B, Pampers, and Mr. Clean. In 2016, Procter & Gamble consolidated its PR work with five agencies: Citizen Relations, DeVries, Hill+Knowlton Strategies, MMK+, and MSLGroup. The firms were tasked with providing global PR support to P&G brands at a category level in global business units including baby, feminine, family, fabric, home, skin, hair, grooming, oral, and personal healthcare. The company has maintained that core roster of global PR agencies, said Jones, but it will shift or bring in additional capabilities to meet the needs of its brands and businesses. Aside from the changes involving DeVries, Jones said the most visible agency shifts at P&G have included an increase in "pull marketing," which has resulted in MMI adding assignments on P&G businesses, most significantly on Olay. There have also been assignment shifts on small brands, such as laundry detergent Dreft, which moved from MSL to MMK as part of a new brand-building model, Jones said. "But the roster is largely intact for our U.S. businesses," he said. DeVries had a small reduction in workforce associated with the changes this summer, said a representative from the firm. "We are proud of our longstanding relationship with P&G, and of the work we’ll continue together across beauty and personal care, not only in North America, but also across Asia," said DeVries Global CEO Heidi Hovland. "While we started as a P&G agency, today we’re well-diversified, representing dynamic and growing brands across retail, food and beverage, health and wellness, and travel. We will continue to strive for P&G’s success." In June, the CPG company combined its brand and company communications teams into a single, integrated global organization. Leadership roles span corporate and business unit responsibilities. Craig Buchholz was named chief communications officer and global healthcare communications lead and the first CCO at P&G since Chris Hassall left the company in 2012. At that time, P&G reorganized communications under former global marketing and brand building officer Marc Pritchard, chief brand officer, to whom Buchholz reports.